This packet sows up to 4 mounds. 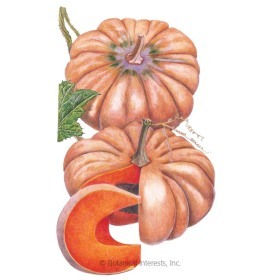 Variety Information: Pumpkins average 3"–4" in diameter and 8–12 ounces in weight. Rounded shape, burnt orange color with dark green, well-attached stem. 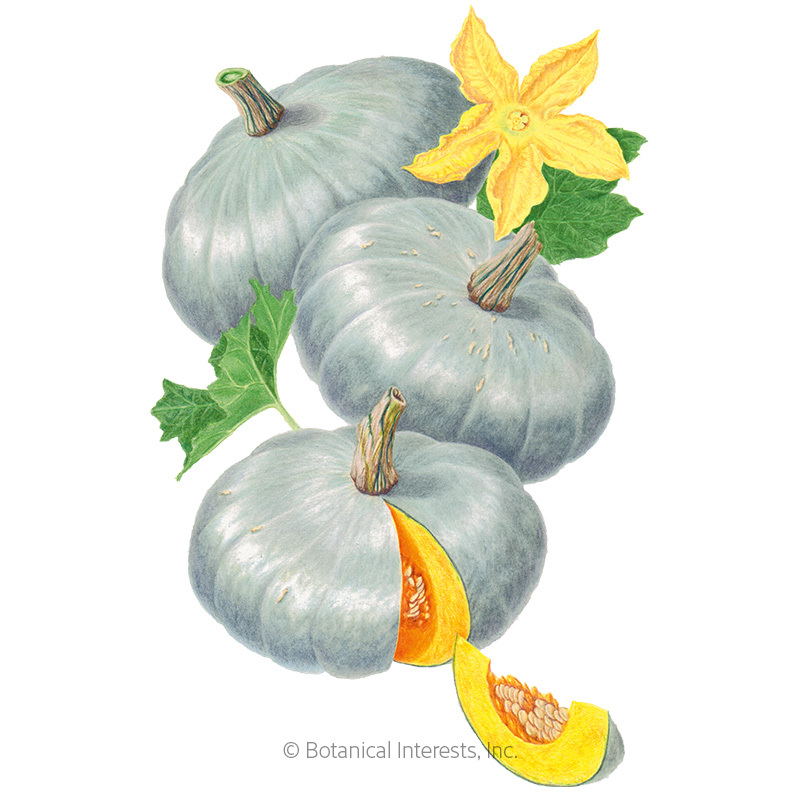 'Little October' is grown mostly for its ornamental qualities. When to Sow Outside: RECOMMENDED. 2 to 4 weeks after your average last frost date, and when soil temperature is 70°–90°F. When to Start Inside: Not recommended except in very short growing seasons, 2 to 4 weeks before your average last frost date. Sow in biodegradable pots that can be planted directly in the ground. Transplant after your average last frost date, when weather is warm and settled. Harvesting: Harvest pumpkins before the first fall frost, and when foliage has begun to dry out. 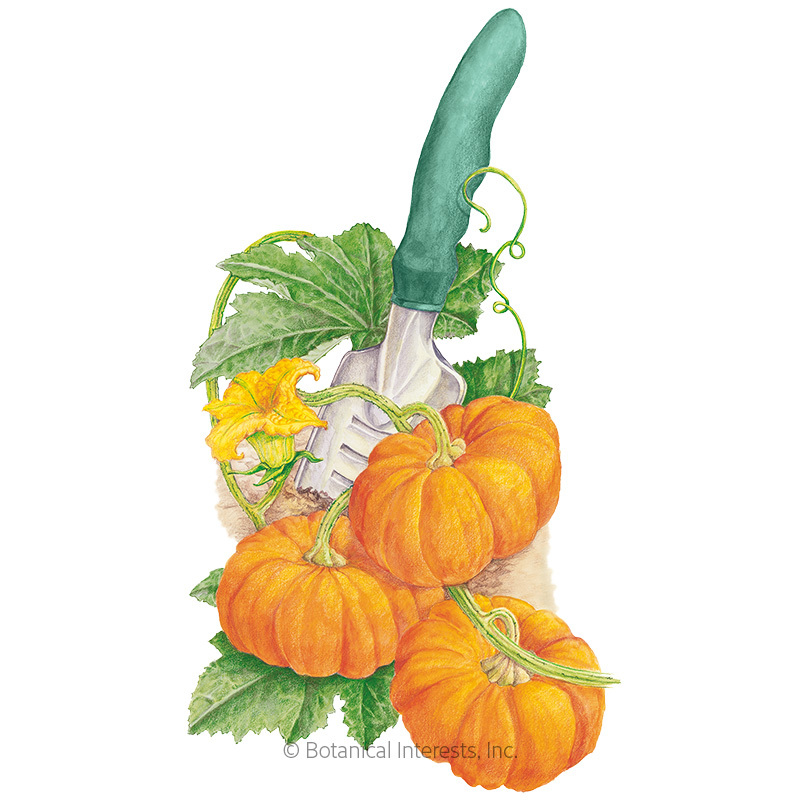 Cut stem with a knife, leaving 3"–4" of stem on the pumpkin. 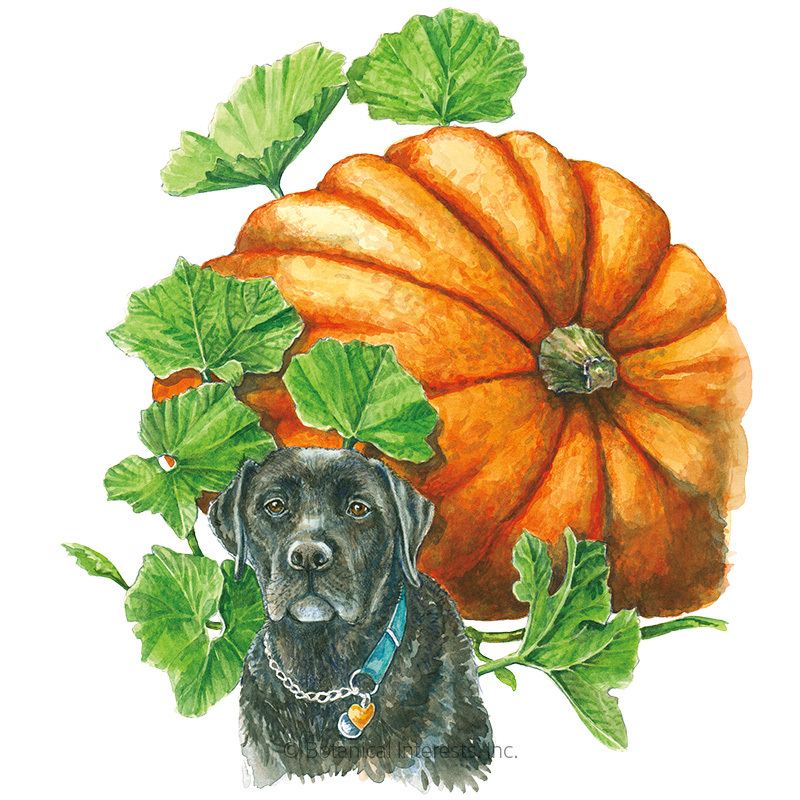 Do not hold the pumpkin by the stem; if stem attachment gets broken, or any part of the pumpkin bruises, the pumpkin may rot. Brush off any dirt or leaves. Ideally, cure at 80°-85°F and 80–85% humidity or a warm, sunny spot with good air circulation for 1 to 2 weeks before eating or storage. Do not allow harvested fruit to get wet. I wasn't sure what to expect but this plant grew and grew and grew! From ONE seed! I grew it in my front yard because I have two german shepherds who love to lay on top of anything I grow in the backyard and this little pumpkin vine grew in to a pumpkinzilla plant. There are so many little pumpkins on it! Some are all orange, some are orange dotted with green (not sure why but it looks cool) some are a yellow color. Its still trying to make pumpkins and its the middle of october. It did get attacked by aphids but I sprayed with neem oil and it made a huge difference. 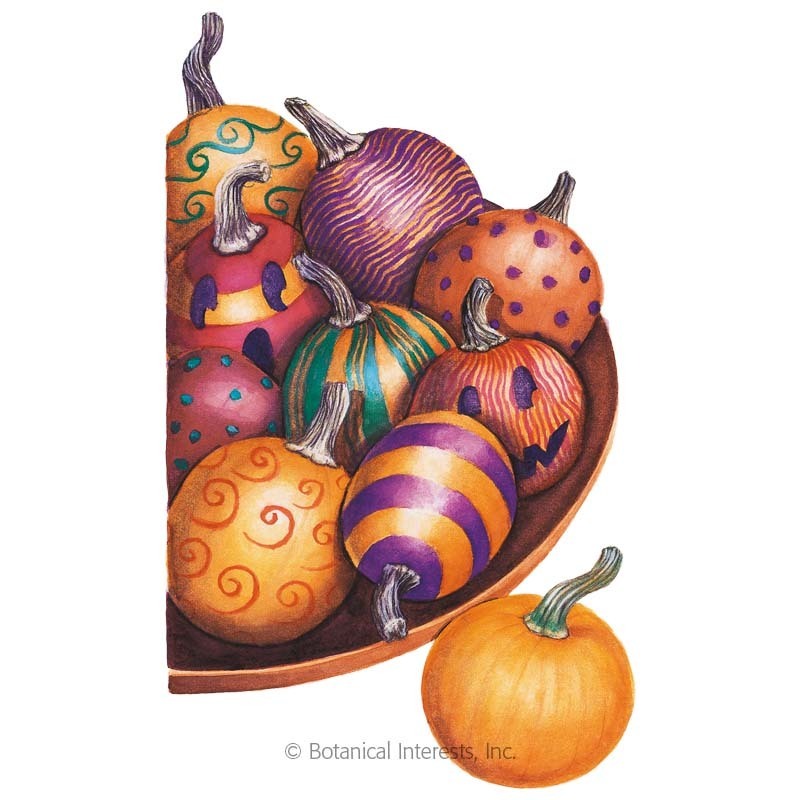 If you wanted to have a ton of little pumpkins, this is the perfect choice. I was very satisfied with these seeds. Also if you remove some of the pumpkins on it as it grows, the ones that are left will grow bigger than if you leave every pumpkin it produces on the vine. Happy growing! Owner Response: Sunshine, Thanks for sharing your experience and great tips. FYI- they taste amazing too!